Highway construction and expansion in the country touched 10,800 km in 2018-19, which translates to nearly 30 km per day, making it the highest pace of construction during the NDA regime. In contrast, the previous UPA regime saw its maximum highway construction in 2012-13 when the government added and expanded 5,732 km of roads (at around 16 km /day). 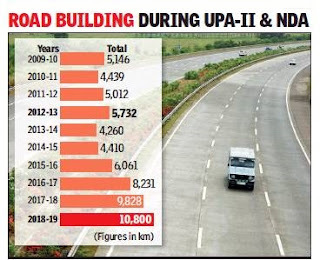 A comparative analysis of the recent data also shows that during the last year of the current regime of NDA ending March 31, highway construction was almost two-and-a-half times more than the construction reported during 2013-14. For BJP government, the jump in highway construction is one of the major achievements, which it is highlighting in its campaign. The maximum length of highway construction has been reported from highway minister Nitin Gadkari’s home state, Maharashtra (approximately 2,100 km) during 2018-19. Sources said NHAI has reported construction and widening of 3,338 km during the last financial year, which is about 10% more than that of 2017-18. Almost all the four-laning of existing highways are executed by the NHAI. 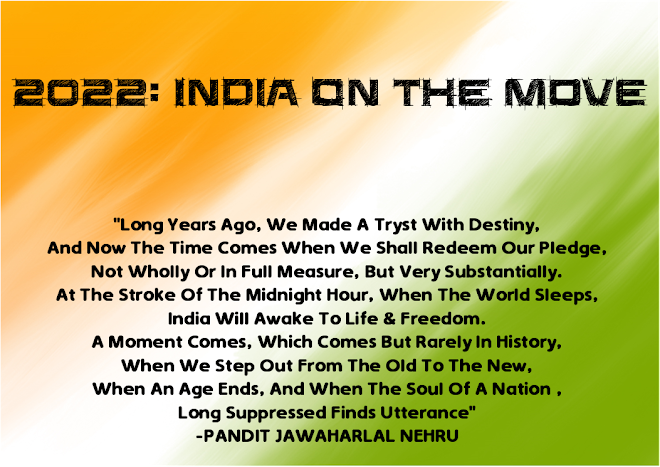 Data show that during five years of UPA-II a total of 24,690 km were build or widened while during the current regime the construction touched nearly 39,350 km, which is an increase of about 70%.